5 X 7 card for 2014 used impression obsession die Love it! Inside of card says "May you find happiness throughout the year". WOW! I love this--- GROGEOUS! 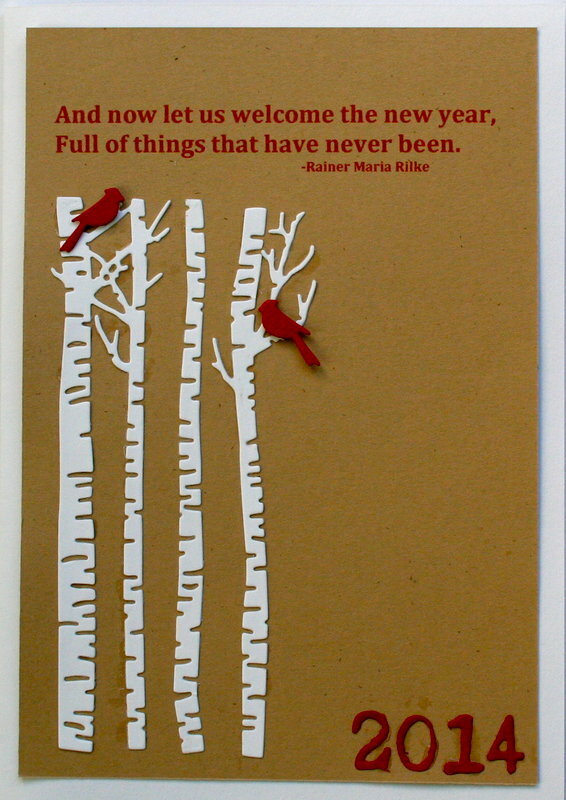 The white trees & red birds look amazing on the kraft BG. FAVE! beautiful! I saw this die in an ad the other day and fell madly in love with it! !